Member's Mark High-Density Polyethylene (HDPE) Gloves are the gloves of choice for food handling. 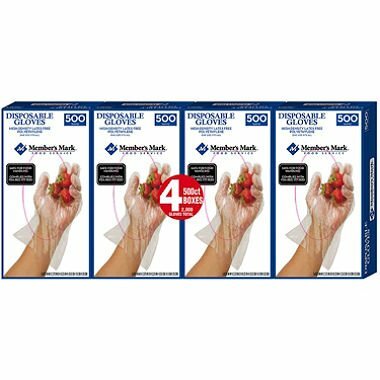 These gloves are 100% latex free, have a comfortable fit, and are meant to be used for one-time tasks. Member's Mark HDPE Gloves are made from 100% virgin material, so they are more durable and have greater clarity than low-density polyethylene gloves and can be recycled according to local requirements. 2,000 gloves (4 packs of 500) , One size fits all.